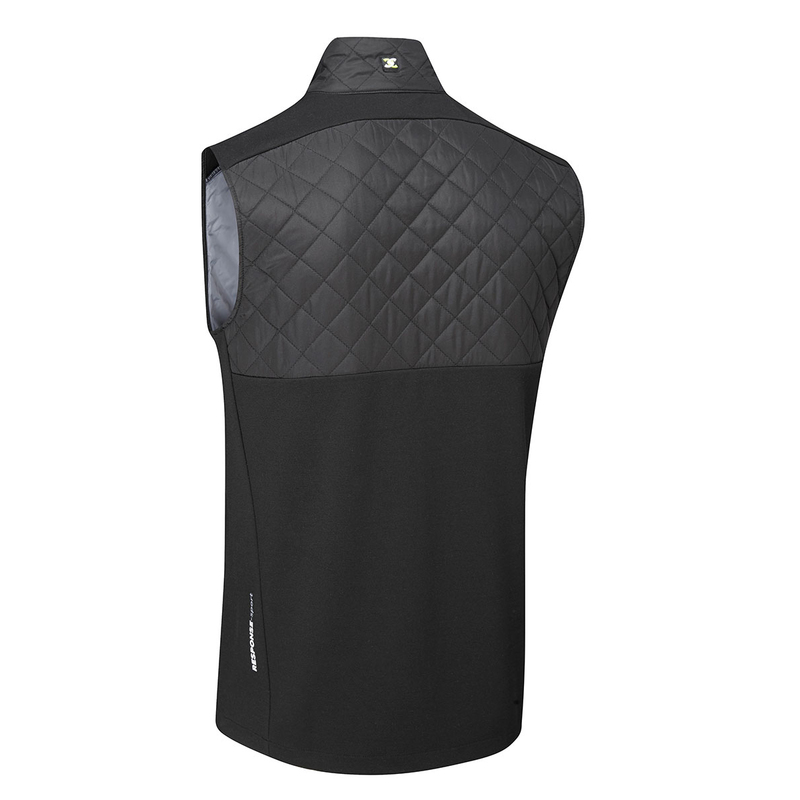 This lightly padded sports layer is windproof, breathable and has thermal properties to ensure your body stays at the optimum temperature when playing golf. To give you a better performance the garment has DRI-back moisture transfer technology, this ensures you remain dry by drawing moisture away from the body for less distraction during your game. 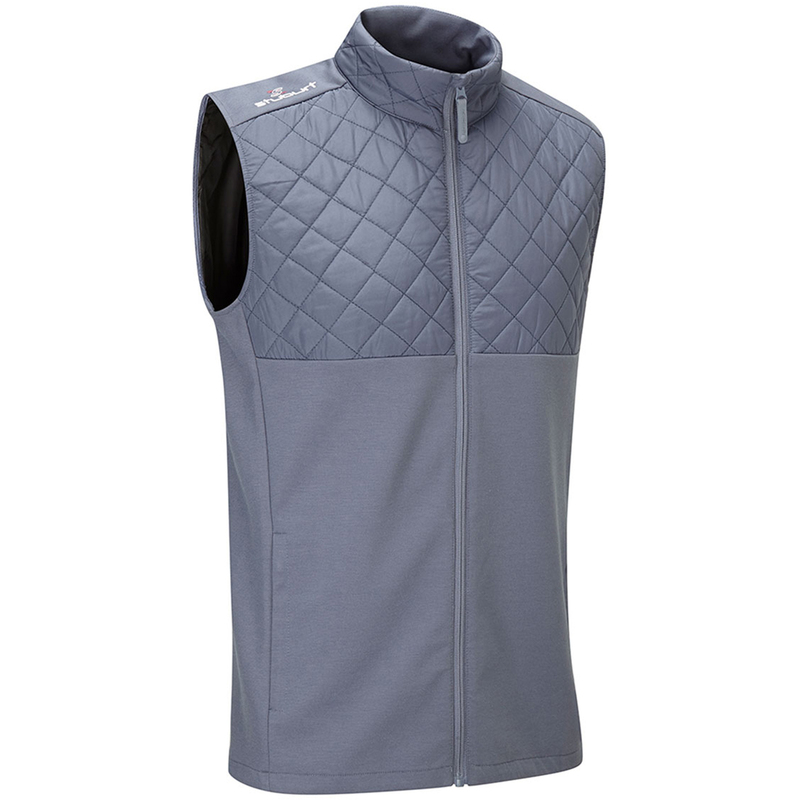 The design features a quilted top half, full-zip opening for quick and easy changing, plus has waist pockets. 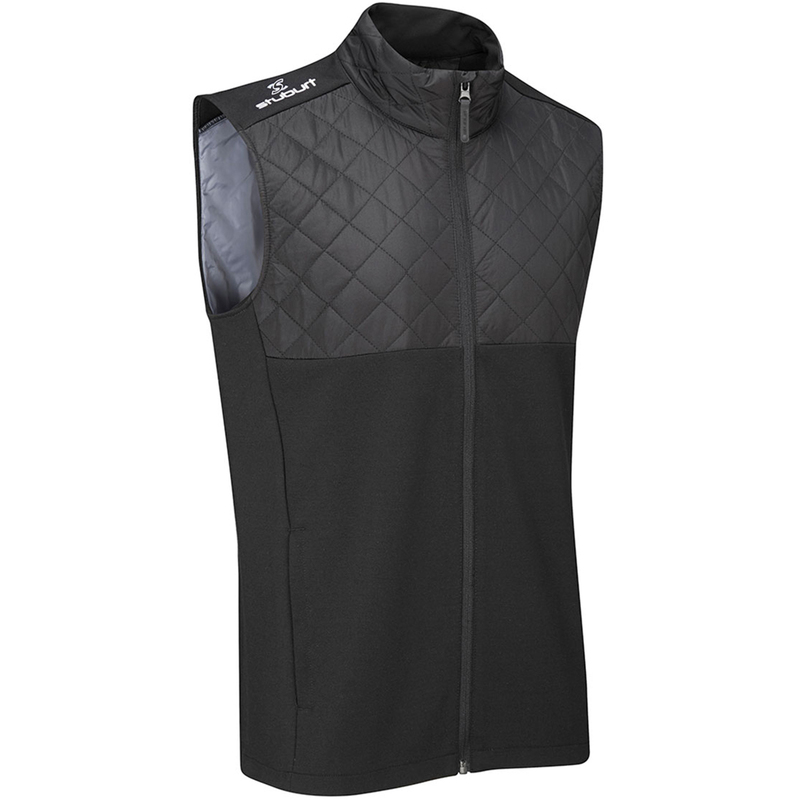 The gilet has been constructed with a stretch fabric panels, which is perfect during the athletic movements associated with the golf swing. Machine wash at 40° or less on gentle cycle.